To my mind, there are few things worse than being told the ending to a movie or book before I’ve been able to experience it myself. To others I know, spoilers (as they’re called) aren’t bothersome at all. Because there are both sorts of people out there, a friction in every fandom is caused. This doesn’t just affect geeks, either, but anyone who watches films or television, or reads a story in any medium. A vein in my forehead burst and I immediately stood, swearing at the man. If he didn’t leave immediately, bodily harm was certain to be inflicted. Why would I want to know such a thing? I was going to see the film in less than two weeks, and I’d been waiting 16 years to see something new from the Star Wars saga. That guy was clearly in the wrong and was purposely trying to ruin the movie for people; he went from table to table pulling the exact same thing. I’m assuming he met his bloody, tortured end that night. But what is the statute of limitations on a spoiler? We can all agree that two weeks before a movie comes out should be spoiler-free, unless you give a clear warning and a chance for those who don’t want to know to stop reading or leave the room. But at what point does that end? Am I still accountable for keeping the secret of the meaning of Rosebud or Luke Skywalker’s paternal lineage? If the book for an upcoming movie has been out for years, am I obligated to keep its secrets? I was warned not to give spoilers for The Hunger Games when a friend heard I’d seen it early—and this person had already read the book. 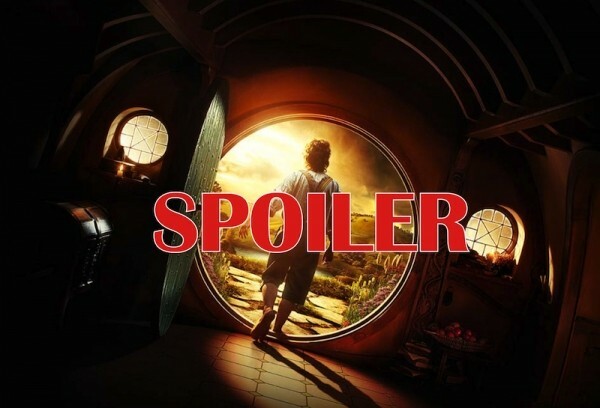 The Hobbit is coming out at the end of the year, and I’ve already had a friend tell me they didn’t want to hear spoilers for it. Let me remind everyone that the book this movie is based on was released in 1937. I think it’s fair game to say Smaug dies at the end, killed by the arrow of Bard. We’ve had 80 years and other adaptations to chew on that one. Yet, I’ve been chastised for mentioning details of the book. I think some people take the idea of spoilers too far. But, as in the case of the jackass who told me about Darth Maul, they revel in the knowledge that they’re ruining major plot points for people. We need a common code of spoiler etiquette. If you want to reveal a major turning point in a story, regardless of medium, give a heads up to those around you. Use your best judgment. Ask yourself, “Would hearing this before the movie ruin the surprise or emotion, good or bad, that I felt when I first saw it?” If the answer is yes, then you should probably disclaim it and give people a chance to flee. If you’re overly sensitive to what may or not be considered a spoiler, take it a little easy and understand the context. If you’re worried about spoilers from an 80-year-old book-turned-upcoming-movie, you’re worrying too hard. If the adaptation is any good, not that much will have changed. Take it easy. On the other hand, if you’re four episodes behind on Game of Thrones, the onus is on you to stay away from the latest scuttlebutt. We shouldn’t be responsible for your poor time-management skills. It’s that simple. And, just in case you guys didn’t know, Darth Vader is Luke’s father.